How ya doing Team Gunmetal!! This episode of Gunmetal Armory, as we open the vault door to the Gunmetal Armory, we are discussing more tactics that will help you avoid life threatening situations, and if the worst does happen, keep you alive during that terrible situation. Avoiding the problem in the first place is usually the best tactic, and there are many factors involved in accomplishing that task. 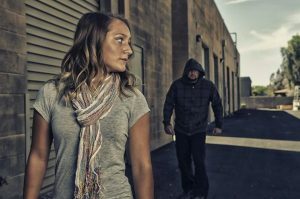 Listen to this broadcast or download “Lifesaving Tactics Part 2: Kidnapping & Abduction” in player below! We discuss the power of awareness, how proper avoidance truly works, and how it all ties together in various situations. 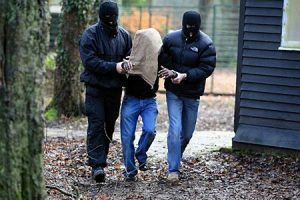 We touch on how kidnapping and abduction happen, what the ideal target of these predators looks like, how to act to keep them at bay, and what to do if you or your loved ones do get taken. Because if it happens, you will need to know how to cope with the situation at hand, how to escape if the situation presents itself, and how to survive till the end. Among all of these many skills, and the multiple things we are going to talk about, the most important skill is one that cannot be practiced, purchased, or earned… that skill is WILLPOWER. The Will to never give up. Having that never quit attitude is a huge part of any survival situation, and it gives you an enormous advantage over everyone else. Most will never have it tested, but if you do, you will find out really fast, if you have it or if you don’t. Also, on Thursday night, we will rip our way through the Product Pick of the Week, which is going to be an AWESOME one this time around!! Why is it going to be awesome you may be wondering? Well, if you tune in to the show, I guess you will find out. One of the best things about our show is the Product Picks, and we try extremely hard to give you guys products that think you will find interesting, useful, or gear that you will want to add to your own Gunmetal Armory. We will touch on the things that happened at the range this week and a few new and interesting gunsmithing dilemmas. The Mistress of Metal will also explore any relevant 2nd Amendment News with Dane there for back up to lend an additional voice to the segment. We will also do our giveaway for products from our buddies at Sawyer Products and the generous team at Shomer-Tec. Tune in to Prepper Broadcasting Network for all these tactics, techniques, info and more, this Thursday Night at 6pm, only on The GUNMETAL ARMORY!! Previous: Previous post: Hurricanes! Mother Nature’s National Preparedness Challenge! Next: Next post: Identify and eliminate noises for survival!